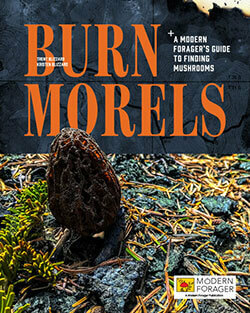 Looking to score some burn morels in June or July? Often as we get into the middle of June, the recreational morel hunter turns their attention elsewhere after two full months of good picking. Certainly the bulk of the commercial hunters have moved north or on to other prizes. Maybe it is an East/Midwest mentality that thinks morels are not to be found in June and July? 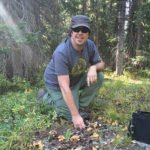 Regardless, in the wildfire burns across the West, from Montana to Northern California, intrepid hunters are still finding morels by the bucket. Focus on high altitude. Probably by July you will be looking close to 6,000 feet. Focus in shadier areas… look for the “structure” inside the burn that creates shade. Be aware of Wilderness boundaries! Many high-elevation burn areas are inside of designated Wilderness areas where picking is not allowed. Blanket Creek = Blanket Creek is a 33,306 acre fire East of Prospect and Southwest of Crater Lake. 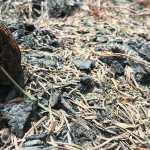 This fire spans two National Forest areas – Winema and Rogue River Siskiyou. Keep in mind these are two different permitting agencies – plan ahead to get the right permit for the area of the forest you intend to hunt. In our member’s maps we have specified 2,175 acres that look especially promising for late season. Please know you will probably have to hike into this fire 3-4 miles (assuming the gate is still closed). The gate is marked on our maps. Milli – Milli is a 24,078 acre fire that burned in September 2017. It is located in the Deschutes National Forest West of Sisters. It has lots of territory over 5000 feet worth hunting. On our member’s maps we have 2,000 acres specified that are worth checking out. Broken Lookout – Broken Lookout is a 10,194 acre fire Northwest of Prospect with some nice territory in the 5,000 to 5,500 ranges. We specified a nice 320 acre spot with lots of Northern exposures all above 5,00 feet in our member’s maps. You still have time! Get on out there and make it happen.